As I might have mentioned already, my review pile is a little backed up. By working so hard last year to read my own damn books, I let review copies and ARCs pile up. 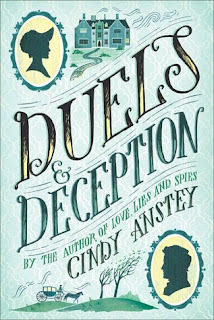 I'm making an effort this spring to get through some of these and luckily had these two gems by Cindy Anstey on hand (which are not in a series). 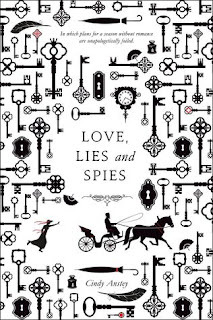 Love, Lies and Spies came out last April and was Anstey's first novel. It's a Regency romance in the vein of Georgette Heyer but with a strong, independent female protagonist. Juliana Telford is a naturalist who has been studying ladybugs with her widowed father and running his estate. 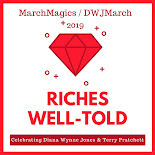 Now that she is old enough for a season in London, she sees a perfect chance to approach publishers and get their manuscript published. She doesn't anticipate a few select distractions though, including the extremely handsome and somewhat mysterious Spencer Northam. 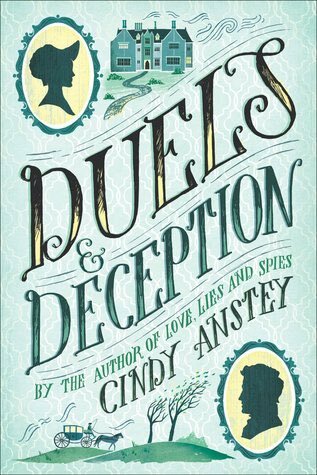 And out tomorrow is Anstey's second book, Duels & Deception. This is the story of Lydia Whitfield, who has inherited her family estate and will run it on her own in a few short years when she comes of age. For now, she is subject to the whims of her frequently-drunk uncle and his subpar land agent. However, when the two start showing their incompetence, a representative from the family law firm arrives, young Robert Newton. Though Newton is immediately smitten, Lydia's mind is filled only with the plans her father left for her life. If she is to break free and find love and safety, she is going to have to learn to trust and allow Robert to help her. Both of these books were incredibly fun to read. Though there were some over-the-top events, I loved every minute I spent with these characters. The romances are sweet and rather chaste, due to the period setting. There are outstanding friendships--both male and female--and lovely, smart, capable female protagonists. Nobody is unrealistically perfect and the horrid family members and neighbors would have made Heyer proud. I hope that Anstey keeps writing these sorts of books because they are perfect comfort reads.